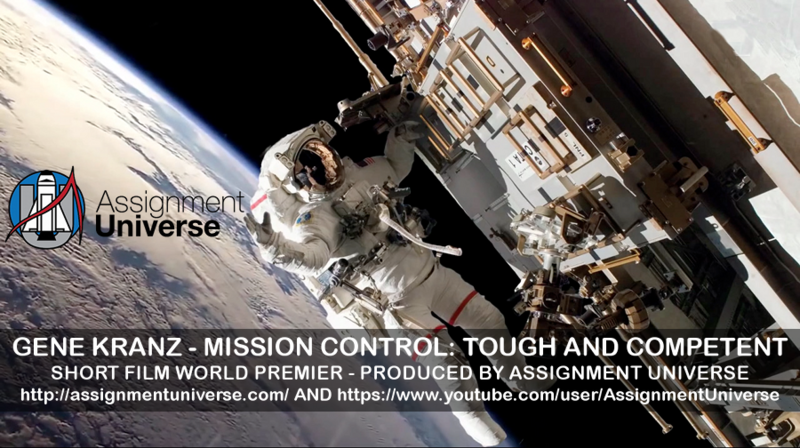 Based upon a 1999 NASA Oral History Project interview, Gene Kranz - Mission Control: Tough and Competent captures Kranz's call for an aggressive 21st century space program that inspires a renewed “compassionate leadership role” for the United States. Assignment Universe is honored to release this inspirational film on the 45th anniversary of Apollo 11’s historic landing on the Moon. Gene Kranz had a crucial leadership role as NASA’s Mission Control Flight Director during the pioneering years of the U.S. space program. Kranz is best known as the Mission Control Flight Director during the Apollo 11 lunar landing as well as the effort that engineered the safe return of Apollo 13. The film's title phrase, "Tough and Competent," was coined by Gene Kranz and instantly became a rallying cry for NASA astronauts and the Mission Control crew following the Apollo fire that killed astronauts Ed White, Gus Grissom and Roger Chaffee on January 27, 1967. Musician turned space advocate film producer Mike Dawson created the short film Gene Kranz - Mission Control: Tough and Competent to elevate the importance of space exploration and the scientists, technicians and astronauts who make the dream of space flight a reality.